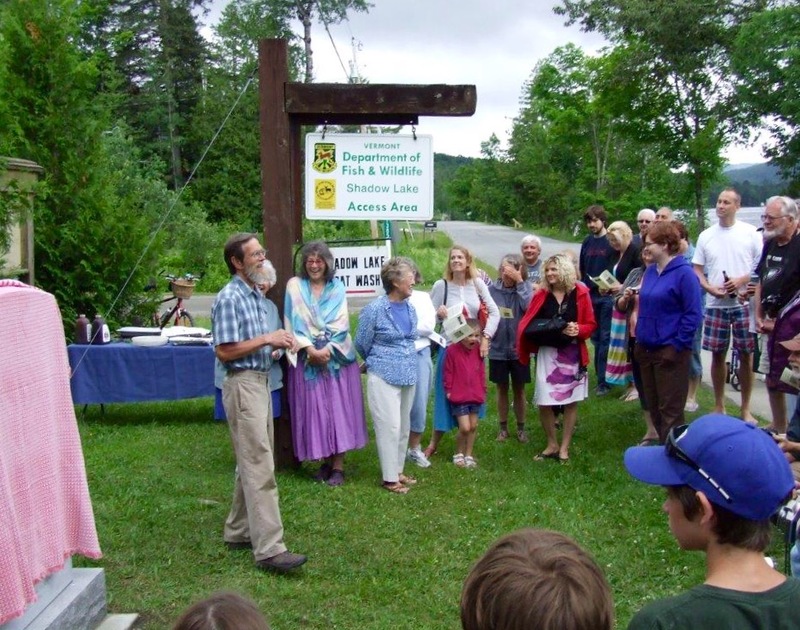 About fifty people, many of them Shadow Lake summer residents, attended the unveiling of the monument. 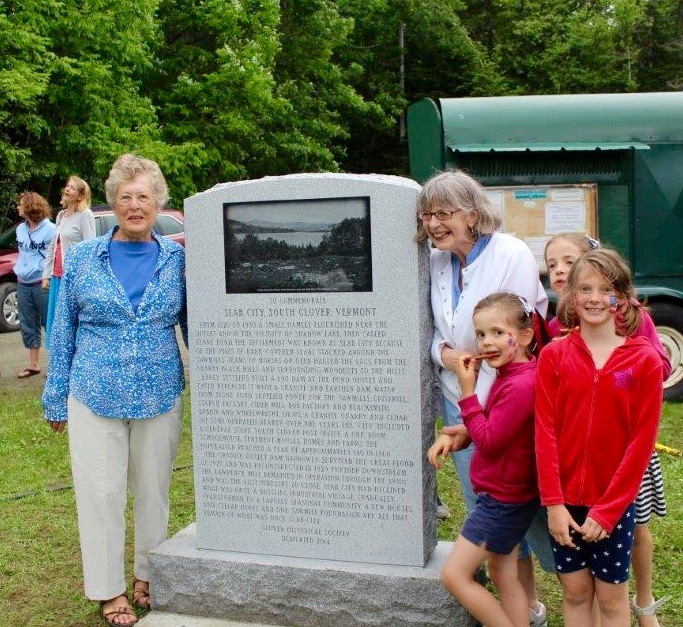 The Glover Historical Society thanked the many people responsible for the installation of the monument: Gary Blow, Don Gilman, Andy Fournier, Mark Gherardi, John Rodgers, Francis Tash, Bob Trottier, Joe Zacharer and the Vermont Fish and Wildlife Department. 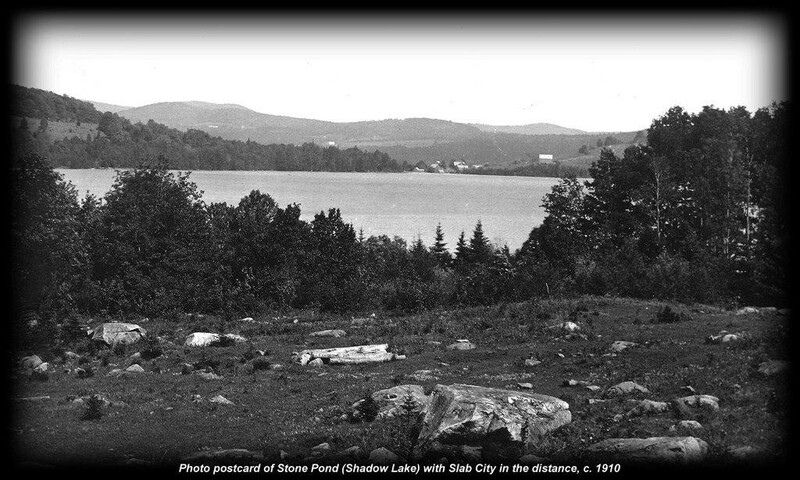 The monument sits on a base cut from granite found in the old quarry on Quarry Hill in Slab City and includes a laser-etched image of a c.1910 postcard, cut in black granite from India, showing the village from across Stone Pond. – etching executed by Buttura & Gherardi Granite Artisans, Barre, Vermont. The research project about Slab City, six years in the making, is now complete and ready for reading! The book is available for $25.00 at the Glover Town Clerk office, open Monday - Thursday, from 8 to 4. Please send any mail orders to Glover Historical Society, PO Box 208, Glover, Vermont, 05839, and include an additional $6.00 to cover shipping costs.